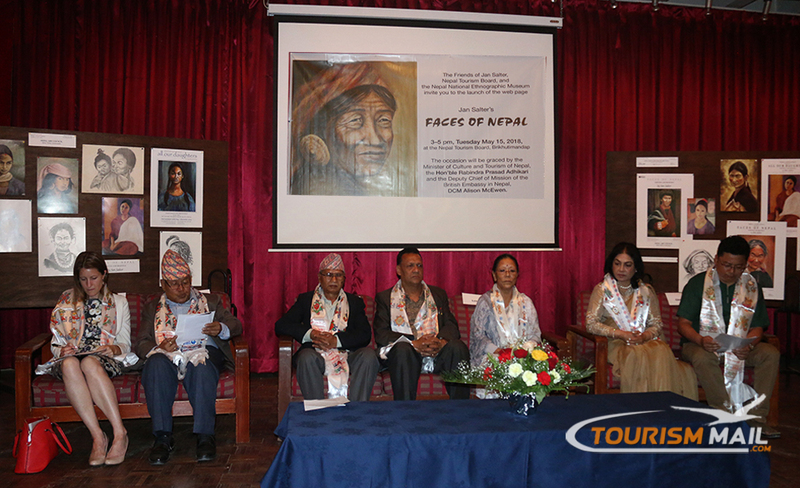 KATHMANDU, May 16: Nepal Tourism Board and the Nepal National Ethnographic Museum launched Jan Salter’s ‘Faces of Nepal’ Web Page on May 15, 2018. The event was held at the Nepal Tourism Board, Brikhutimandap,graced by the Deputy Chief of Mission of the British Embassy in Nepal, DCM Alison McEwen. New web page www.jansalter.org will host the entire collection of more than 250 paintings and drawings. Many original pieces in this art collection will be available for sale on-line at a later date. According to the wishes of the artist, Jan Salter, the proceeds from the sale of her artwork will be donated to the Kathmandu Animal Treatment Centre (KAT) for the benefit of the people of Nepal.